Winter has officially arrived and the Holidays are almost over. Now it’s time to get ready for one of the most glamorous nights of the year: New Year’s Eve! Why not celebrate the new year by trying a new hairstyle? Let’s start with a few hair tips for the cold months. There are just a couple of things to remember. Try to wash your hair maximum three times a week, never forgetting a deep conditioning treatment and use products that work best for you. This will prevent it from drying. And, when going outside, wear a hat to protect your locks from rain, wind and snow. Cold weather can damage hair just as much as warm weather does,that’s why you always have to take care of your mane! Finally, select your party outfit and get ready to complete your look with one of these easy and sophisticated hairstyles. They work for any hair type and length. Looking for something classy, simple and comfortable? Go for a bun or a ponytail. You can decide to wear it high, low, on the side, tight or messy. Try to style it with a red floral clip. Braids are often considered as a summer hairstyle, but they are so versatile that can be worn any time of the year. Just pick the style you prefer, such as a messy or side braid. You can even put them up for a chic updo! This is a very simple yet elegant look. Opt for a middle parting with both sides twisted/braided back or simply side part your hair and pin one side. Let your hair down with a classic half up half down do, with a centre or side parting. Choose your favourite hair accessories to add some sparkle to this style. Big hair, don’t care! Let your hair flow free and add a retro vibe. Get a brush and start backcombing. 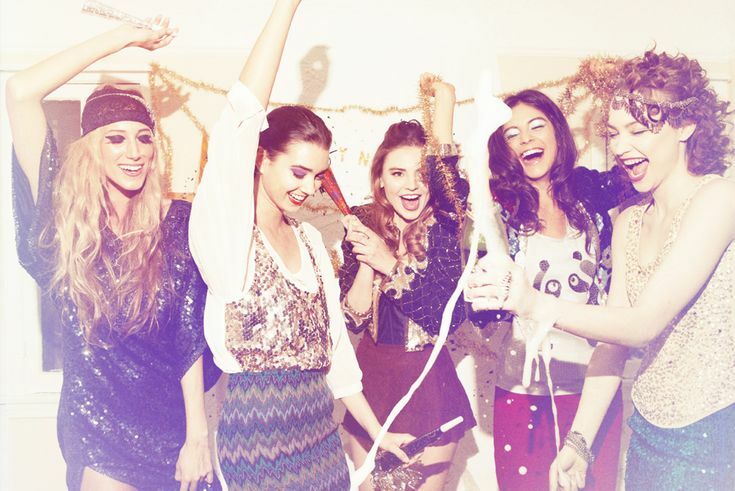 Set everything with hairspray, pins, headbands or anything you like and voilà, you’re ready to ring in the New Year!